Thanks so much to Jessica at ellDimensional for nominating me for this award! I don’t think I’ve ever seen this one before, but here goes! 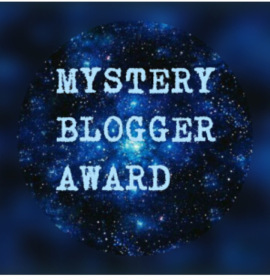 is an award for amazing bloggers with ingenious posts. Their blog not only captivates; it inspires and motivates. They are one of the best out there and they deserve every recognition they get. is also for bloggers who find fun and inspiration in blogging and they do it with so much love and passion. was created by Okoto Enigma. The upside of item #1 is that it does not take much to make me happy. Give me a book, some coffee, and some introvert time and I’m good. I’m not a BMW. I don’t require a complicated and expensive maintenance routine. Weird question: Are you afraid of the dark? Not really. The only times I am are when I’m driving in an unfamiliar area or when I get up in the middle of the night to go to the bathroom and I feel like monsters (i.e., cats) might attack me. What is your favorite genre to write? Or, what genre do you wish you could write? Fiction, more specifically young adult fiction. I wish I could write more nonfiction (you know, the kind with footnotes and endnotes and in-depth citations of sources), but ain’t nobody got time for that. What are your thoughts on vampires? As in, do you find them corny, overdone, classic, entertaining, or something else? I really liked vampires until the Twilight series came about, then my interest waned rapidly. I still prefer vampires over werewolves, though. Your favorite movie, along with your favorite actor/actress. Who Framed Roger Rabbit? Favorite actor: John Cassavetes (favorite living actor: Hayden Christensen, only because he looks good. He is a horrible actor). Favorite actress: Susan Lucci (favorite dead actress: Ava Gardner, but I haven’t seen any of her movies. It’s ’cause she was married to Frank Sinatra). Peter Kreeft’s Jesus Shock. It’s super short and very insightful. Honestly, they better make Dr. Kreeft a doctor of the Church once he passes on. I always cheat and say that anyone who follows and/or reads this blog can participate, and the same applies here. Weird question (actually, all these questions are somewhat weird): If you could live inside a TV show or movie, which would it be? If you had the time, money, and/or incentive to learn a foreign language, which would you learn? What is something you always think “what if” about? You didn’t even have to attribute that quote about self-defecating…at least not for me. That had your dad all over it, so to speak.